The 2015 MLB Playoffs have been a showcase for a fully refreshed MLB that is exploding with talent, like Kyle Schwarber making history for the Cubbies, the Blue Jays bomb squad, and Carlos Correa and the Astros’ coming out party. The future of Major League Baseball is looking as bright as ever. And it starts tonight, as the two best teams in the league will do battle. If we’re lucky, this will be a seven game epic, and if the two teams are any indication, that’s what we’re in for. The more we watch the Royals, the easier it is to understand why they are here for the second consecutive year. There are few teams who can match their talent, but watching the Royals is like watching a bunch of kids from the neighborhood that have been playing ball every summer since they were 4 years old. They have a brotherhood unlike any other team out there right now. They fight (brawl) for each other, and they believe that if one guy fails, there will be another guy to pick him up. The Mets are new on the scene, but there isn’t a starting rotation in baseball that can match up with their young stable of aces. In 45.2 IP in the postseason versus the best hitters on the planet, the Mets three-headed monster of DeGrom/Harvey/Syndergaard have struck out 63 batters. With the addition of Steven Matz (its easy to forget Zack Wheeler, too), the Mets have the best young starting rotation now, and possibly ever. Add Yoenis Cespedes, David Wright, a hot Curtis Granderson and an unconscious Daniel Murphy to the mix, you really don’t need much else to be the best team in the world. This one is going to be a classic matchup and will probably cost some Mets and Royals fans some years off their life, but there’s no doubt this one has gotta deliver. Lets see if WPW can separate these two titans and pick a winner. Matt Harvey is strutting out there with the beginnings of a beer gut and a 5-day stubble, popping 96 on the gun and laughing in the face of Tommy John. For all the talk about the historically great seasons of the combined 4-time Cy winners Clayton Kershaw and Zack Greinke, Jacob DeGrom went out in the Division Series and out-pitched both of them. There simply hasn’t been a better pitcher in the 2015 playoffs, nor has there been a better head of hair (Syndegaard coming on fast, though). With two bona fide aces, you can win a World Series, and then add Syndegaard and Matz and its borderline unfair. 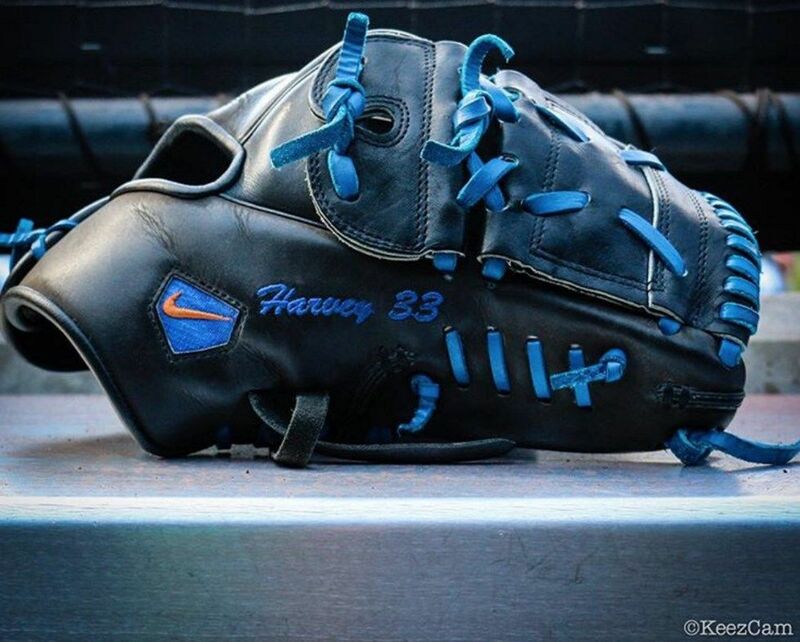 Both DeGrom and Harvey rock Nike gloves, DeGrom’s being a Japanese-made SHA|DO and Harvey’s an older Diamond Elite Pro II. (Photos by @GeminiKeez) Which do you prefer? As for the Royals, Yordano has managed to be effective against the two most potent playoff offenses, Houston and Toronto, and he’ll be counted upon as the Royals’ only starter with World Series experience. Johnny Cueto is a proven ace, but it hasn’t carried over into the playoffs, though his pitching style is always entertaining. One pitch, he’ll go with a Luis Tiant style 180-degree spin, the next pitch he’ll surprise you with no leg kick at all, and then the next he’ll throw you the shimmy shake. 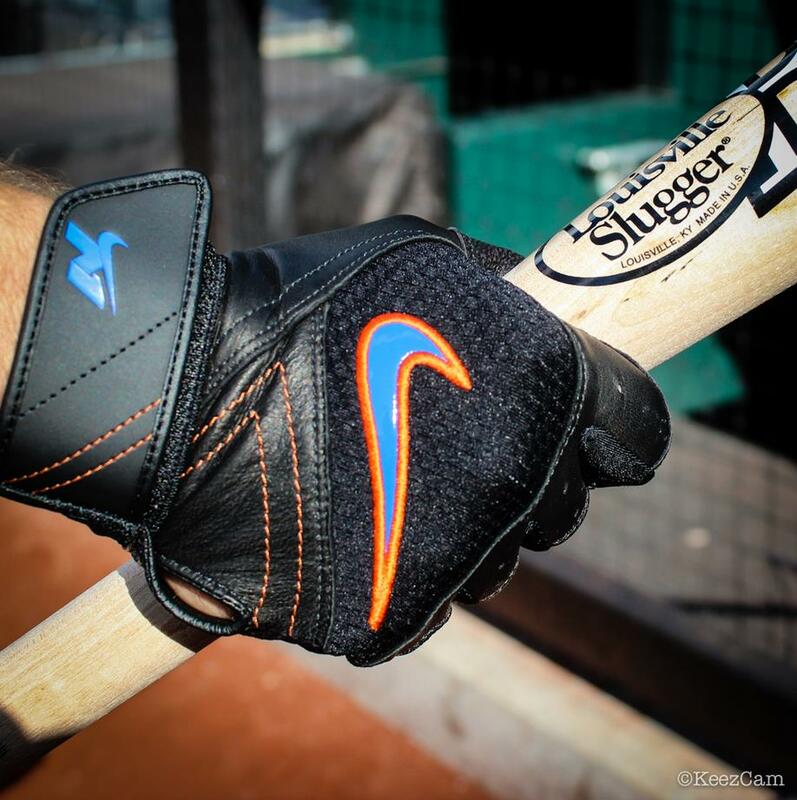 You may think its bush league, but its all part of disrupting the hitter’s timing. When you have to get through a Big League lineup three times in one night, the great ones are able to steal a strike here and there (see above gif). 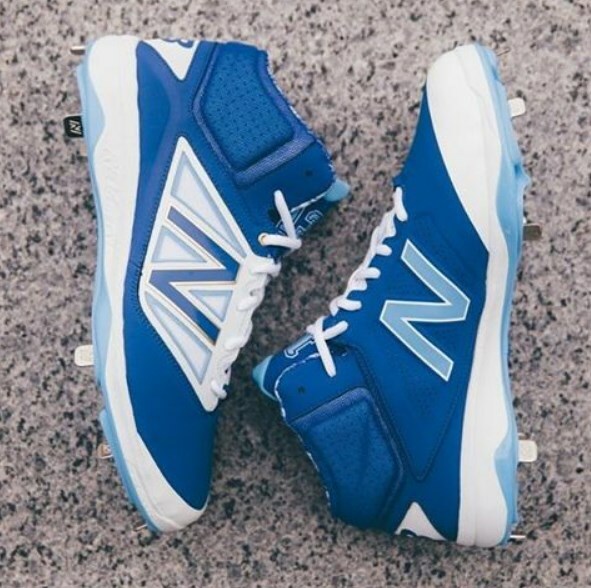 Cueto is a master at that, and it will be great to see him put that mastery to work on baseball’s biggest stage (in some sweet NIKEiD Huaraches). Edinson Volquez rounds out KC’s Dominican front three, and he’s got the ability to shut a team down like the other two. 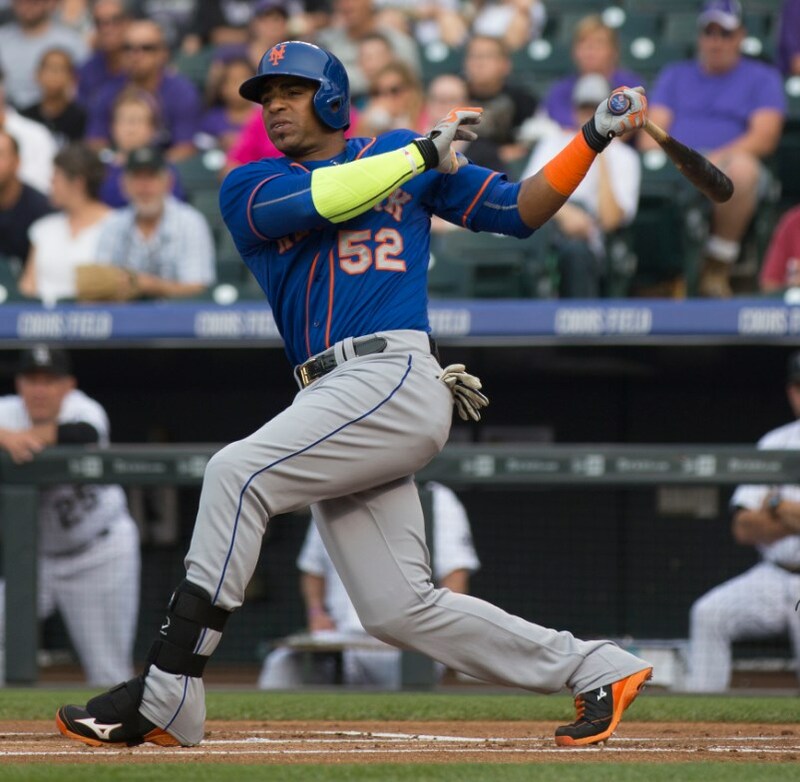 As good as they can be, the Royals can’t stack up to the Mets 95-mph hailstorm. Salvador Perez and Travis d’Arnaud (old post) are both great young catchers and have done some critical damage in this year’s playoffs. Salvy is now a three-time All Star and two-time Gold Glover, with as much swag as any catcher in baseball. 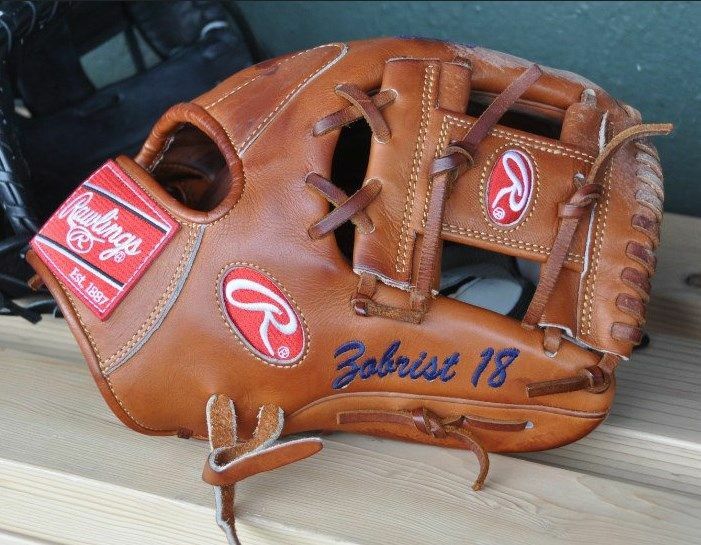 That Rawlings Pro Preferred gear is unreal. 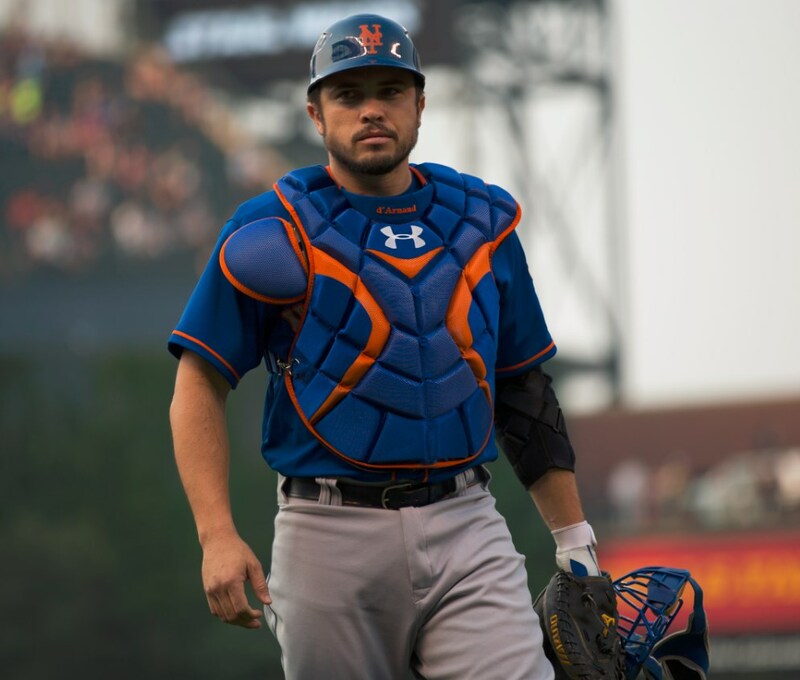 d’Arnaud the ballplayer belongs here, and his ability to stop the Royals run game will be pivotal, but if it comes down to the gear, he doesn’t stand a chance. Salvy is in another league. That plus his experience gives Salvy a very slight edge in this matchup. Even if the Royals lose the series, Hosmer wins. Two weeks ago, this matchup would have been a nice little head-to-head featuring two rock solid Big League ballplayers that can help their teams in a number of ways. 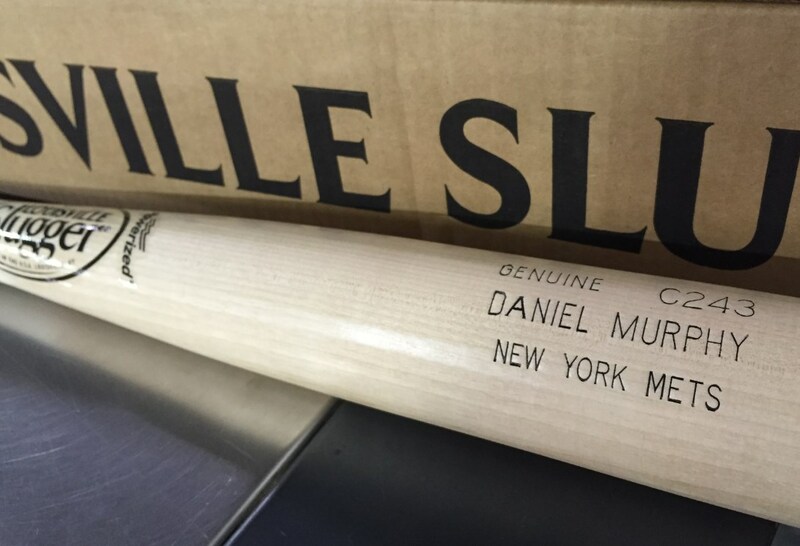 Now, Daniel Murphy is an NLCS MVP, the hottest hitter on the planet, and a NY playoff legend. 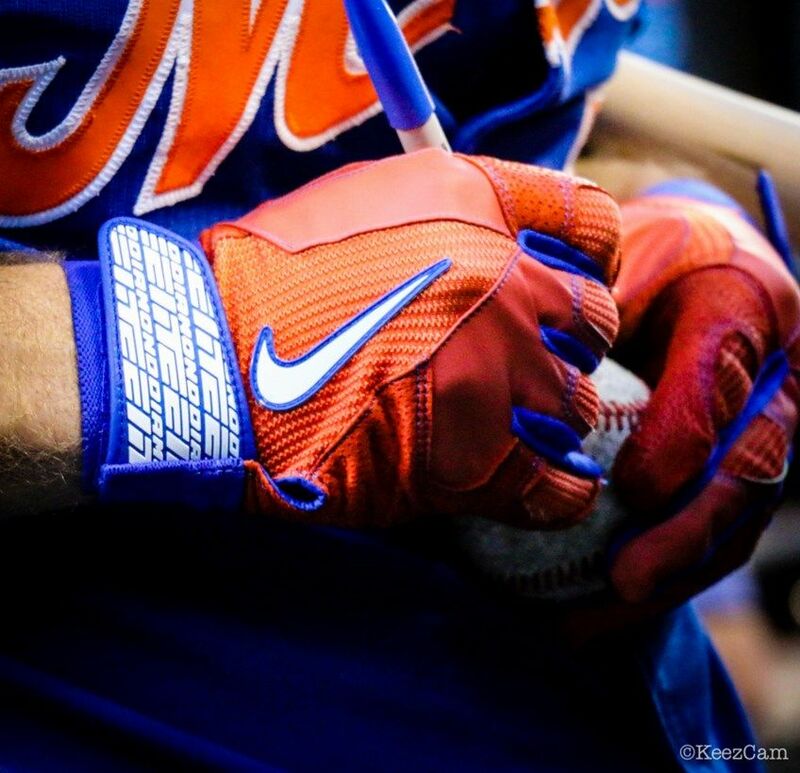 Its looking like beach ball these days to Murph, and we might see him set the MLB home run record for a single postseason with that Birch 243 from Louisville Slugger. He’s got seven, which is one behind Barry Bonds, Nelson Cruz, and Carlos Beltran for the most all-time. We all know Zobrist can play, and that Rawlings Pro Preferred PRO200-2KBR is a beaut, however, it doesn’t matter who the Royals throw out there, Murphy is the man to beat. Another awesome matchup. David Wright, the LONGEST TENURED MEMBER FOR ANY SINGLE TEAM IN THE MLB, will get his first taste of the Fall Classic this evening. He’s had a bit of a topsy-turvy career, but seven-time All-Stars don’t happen by accident. 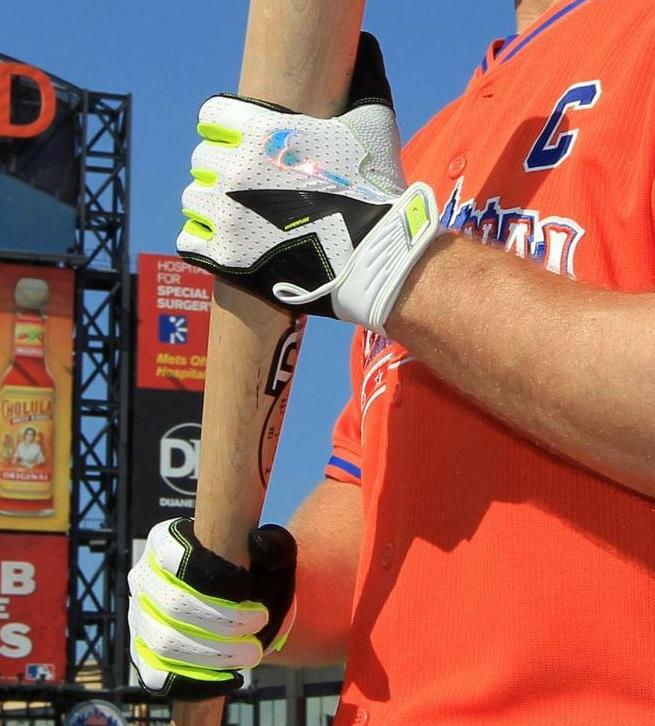 Wright is the most accomplished individual player in this series, and he’s also got the best taste in batting gloves. For years he’s been rocking totally exclusive Nike colorways that always make me drool. 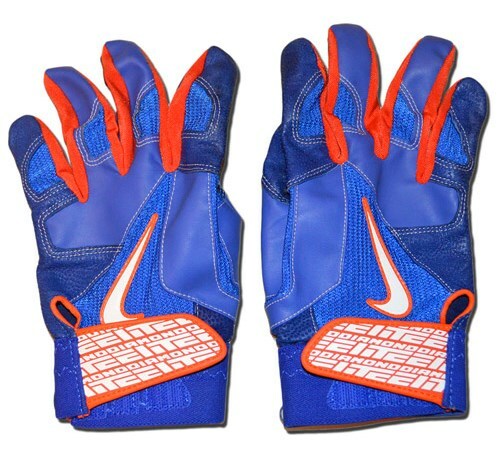 He was also the first we ever saw rocking the Nike Vapor Elite BG‘s back in 2013, which are still available today. 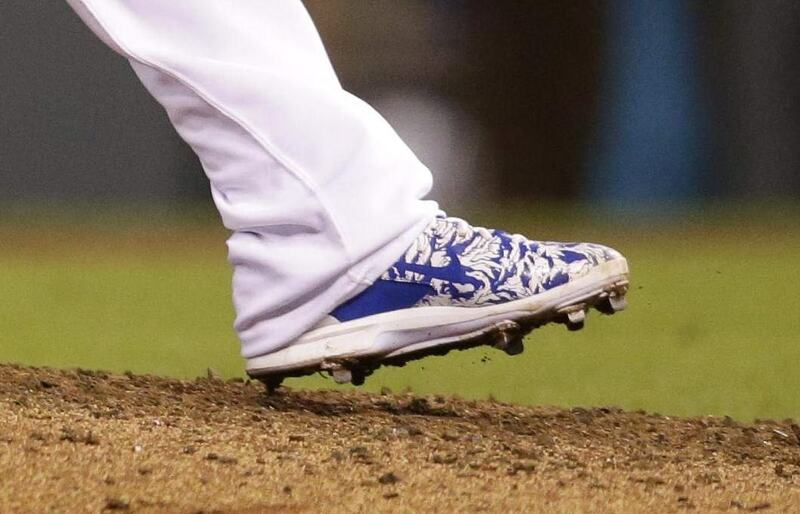 Mike Moustakas might not have the credentials or the batting gloves, but his adidas Energy Boost Icon cleats are legit and this dude is just a consummate dirt dog. Tough to separate these two. Wilmer Flores can swing it, but Alcides is coming in with ALCS MVP mojo and a 10-game postseason hitting streak. As a matter of fact, he’s played 26 postseason games and has a knock in all but three of them. His .330 postseason batting average (versus a .262 lifetime regular season BA) is an indicator that he cranks it up for the big stage. 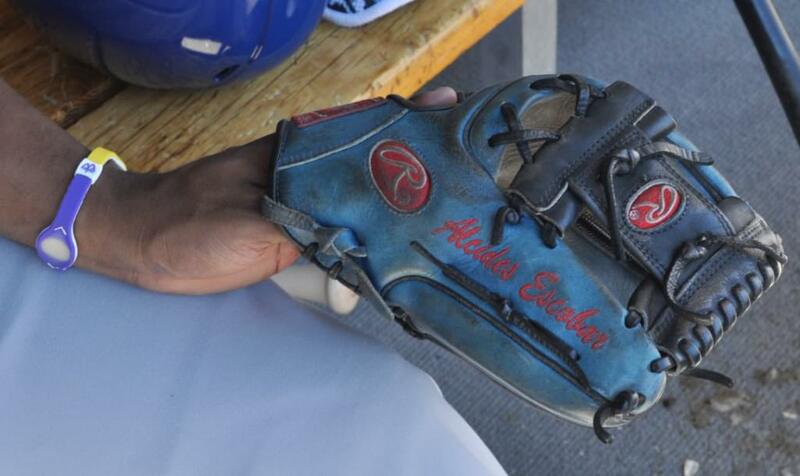 We recently profiled Escobar, who has some of the best cleat game in the league. Despite WPW follower Michael Cuddyer’s resume, he’s given way to the young stud and fellow WPW follower Michael Conforto. 500 HR Club member Gary Sheffield compared Conforto’s power to Darryl Strawberry on a broadcast this postseason. Conforto is in his third World Series, the first being the 2004 Little League World Series for Redmond, WA, and most recently for the Oregon State Beavers in 2013. 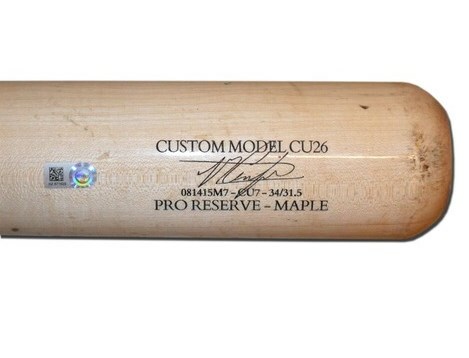 Conforto has been swinging a Victus CU26 Maple 34/31.5. You can get that one here. As for Alex Gordon, he’s got that graceful one-handed lefty finish that we can’t help but admire. 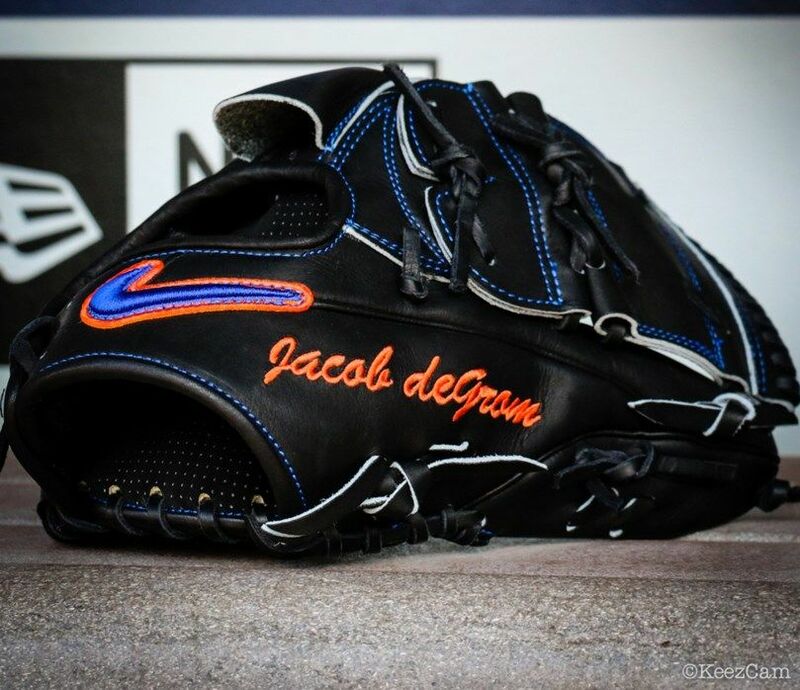 Pair that with his tremendous selection of gear and colorways, and he’s a WPW favorite. If the Royals bat him 8th at Citi Field, he likely won’t see many pitches to hit, but he’s the Royals’ most disciplined hitter and could score some big runs for them. With Conforto’s potential, this is a tough matchup to call. I’ll call it a draw and let you guys decide. 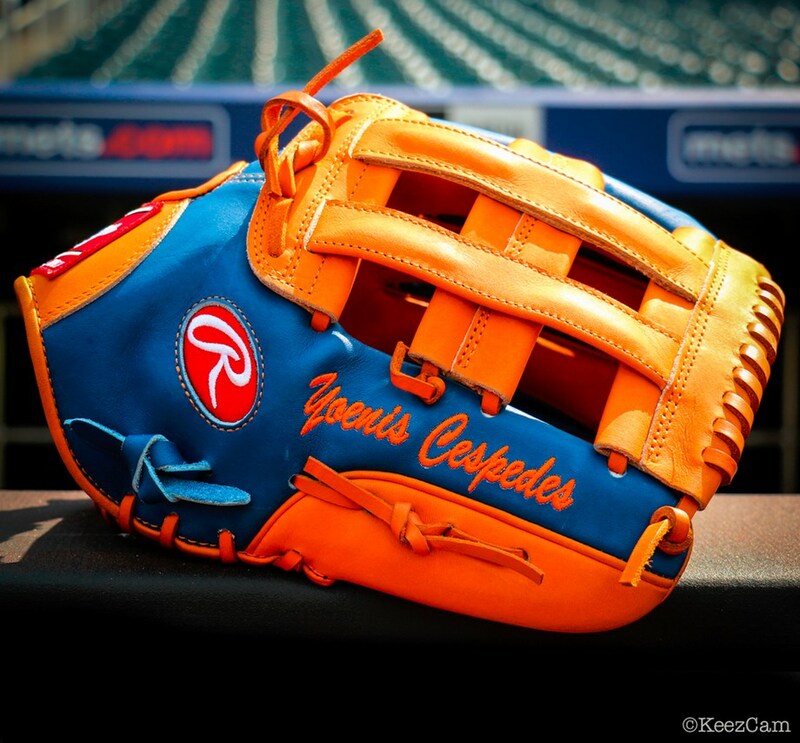 Yoenis Cespedes is Yoenis Cespedes. He put the Mets on his back in the second half. 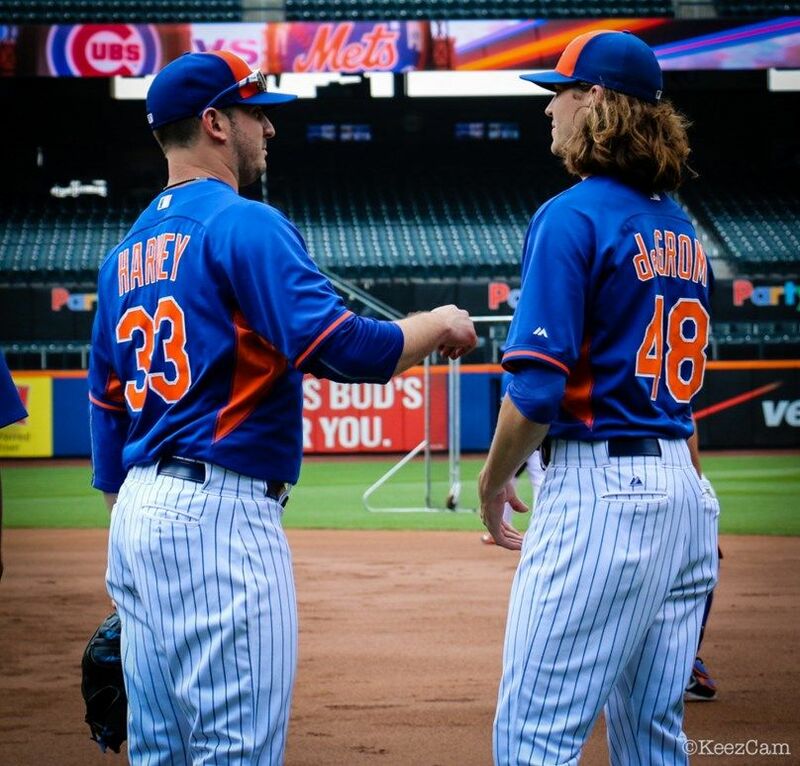 He was the captain of the ship as the Mets BOATRACED the World Series favorite Washington Nationals. Yo transformed the Mets into a legitimate contender, and he’s about to get PAIDDDDDDDDD this off-season. 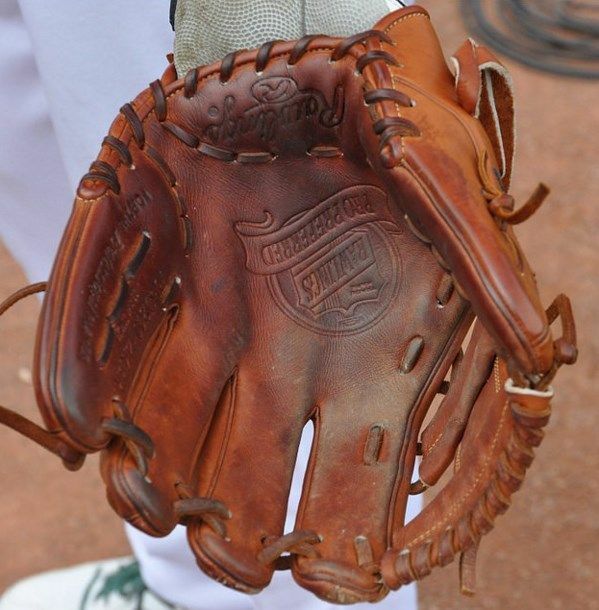 And how about the glove (Rawlings Heart of the Hide PRO302)? How can you compete with that? 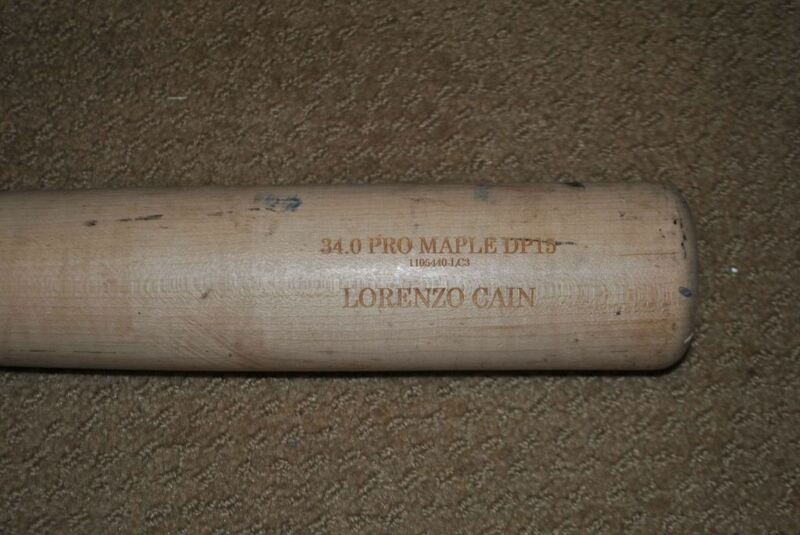 Be Lorenzo Cain. If you haven’t grown to enjoy watching this guy fly all over the field, steal the biggest bases, get the biggest knocks, then make sure you tune in. Cain is one of the best all-around players in the game. He’s switched out the adidas for Under Armour, but still goes to war with his weapon of choice, the Old Hickory DP15. Impossible to call. Too much goodness. Rios is fresh. So is Grandy. 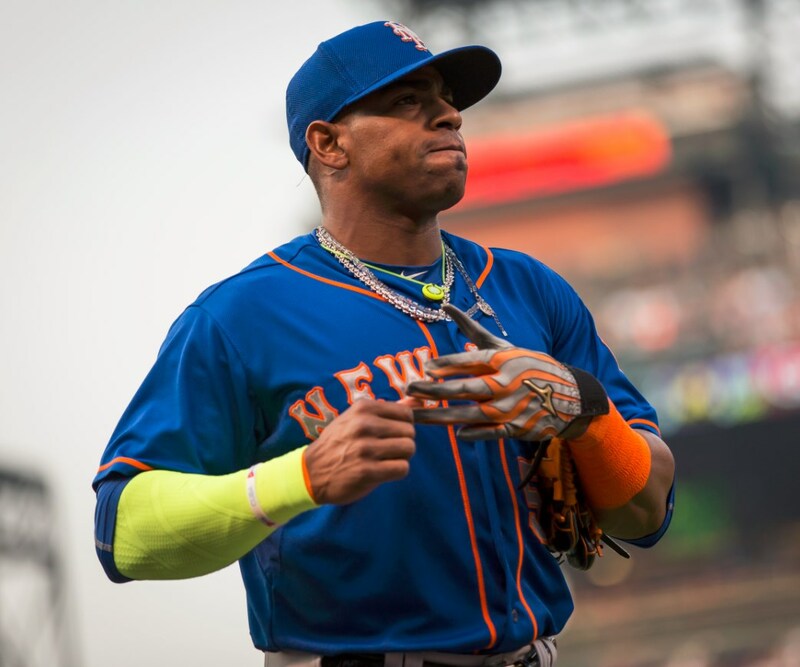 Grandy’s been putting some great ABs together in the playoffs, too. 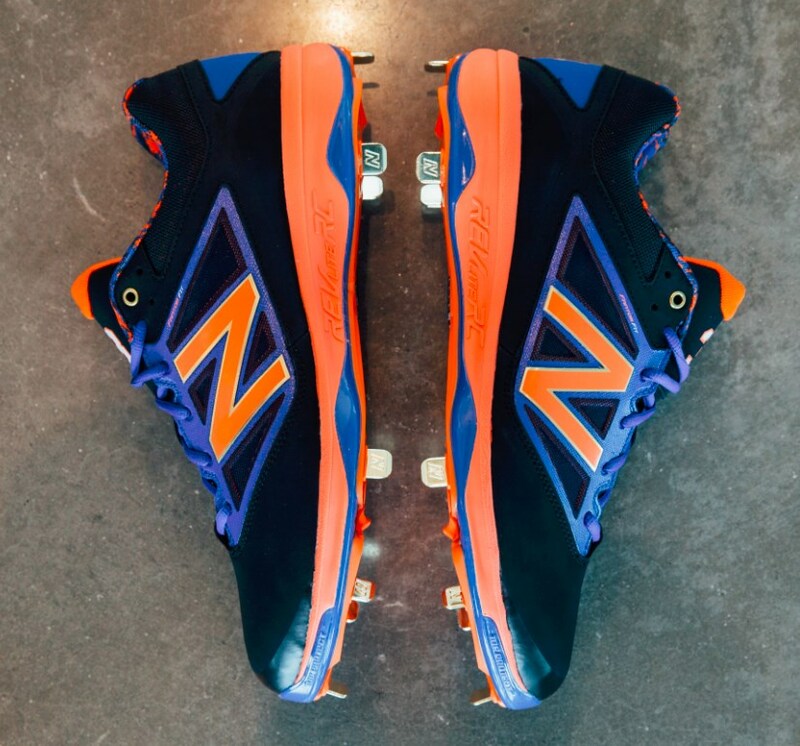 Even though he’s not wearing them (he’s wearing some 4040v2s), these 4040v3s put Granderson over the edge. Just their mere presence is enough. Jeurys Familia, at 6’4 230 with a 95+ splitter from hell, is the most imposing and possibly the most unhittable closer in baseball. He alone makes the Mets bullpen a key reason for their first World Series appearance since 2000. The guy is a beast. Don’t tell Kelvin Herrera that, though. He and the Royals pen have been the best in baseball (again) this year, and if the Mets can’t get a lead in the first 6 innings its pretty much over. 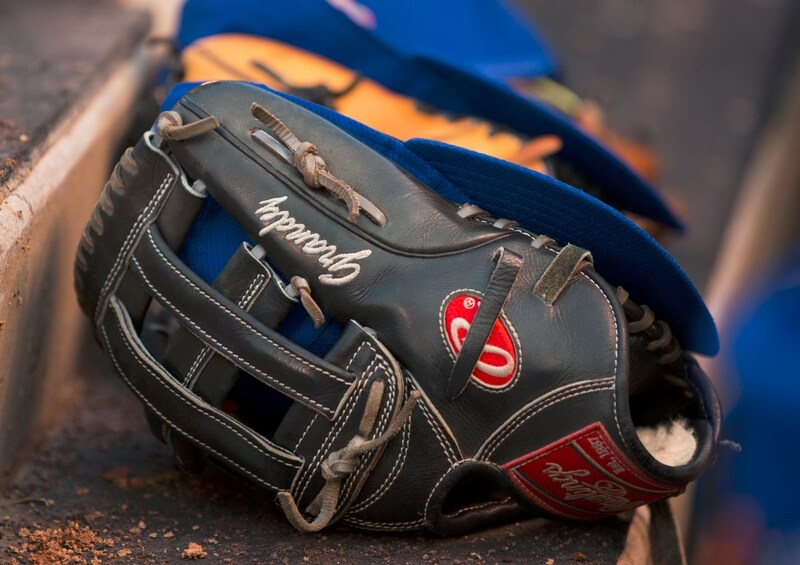 Herrera’s Wilson A2000 B212 in royal blue doesn’t hurt the cause. Royals take this one 5-3, but it is way closer than that. If you aren’t amped for this Series, then you don’t like baseball or you’re dead. Enjoy it.